Here is a testimony from Robert B. of Tennessee, one of our long time customers. Thank you Robert!!! I’ve been using this product for 18 years. 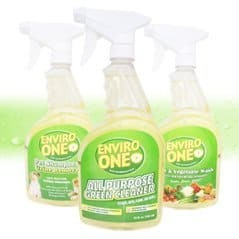 Originally called “Planet Solutions” then “Botanic Gold”, now Enviro-one”. It is an organic, 100% natural product, vegetable based, that is an all-purpose product that can replace most other household products. It is antibacterial and bacteriostatic. It is alkaline and pH balanced for the human body. It is a colloid, not a soap, and also has commercial and industrial grades. It comes in a concentrate that you dilute with water 15-1 (15 parts water to 1 part product) and even up to greater dilutions for various applications. It will kill insects, often in seconds to minutes, by emulsifying their outer oily shell or coating. Ants and flies often die in seconds, wasps in minutes. Yet you can brush your teeth with it (thought it does not taste good) and even drink it highly diluted, to kill parasites, microbials, or alkalinize. Some insects may take longer to die… such as bagworm caterpillars on fruit and nut trees. I have opened their silk sack with a stick and sprayed this on them, it may take a few days, but they dry up like beef jerky; though a shop vac with a longer piece of pcv electrical taped to the shop vac hose is cheaper and assures none get away. I add it (along with essential oils) to plain equate brand NON-SUGARY mouthwash. Everything does not and SHOULD not taste sweet or be fluorescent colors. Those flavors and colors are generally poison. Mouthwash is not a milk shake or jewelry. It doesn’t need to taste sweet or look pretty. It’s job is to kill bacteria. Essential oils (such as peppermint, black birch, tea tree, oregano, thyme, rosemary, etc. all help kill bacteria and also freshen the breath; and adding xylitol will also help kill bacteria and help remineralize and recalcify the teeth, and some peroxide is also good to add). Just say “no” to pretty colored POISONS. I use it as my shampoo, with added essential oils. Many chemicals in toothpastes, soaps, and shampoos are toxic and your body stores these toxins up in the organs. Sodium lauryl sulfate, etc. A Google search will give plenty of information on the toxic chemicals (especially in antibacterial soaps, anti-perspirant, deodorant, shampoo, toothpaste) which should never be used. Any product with aluminum or alum (in any form) should not be ingested or used on the body either as a wash or a lotion or a deodorant. If you have body odor it is a sign your body needs to detox. Don’t cover the smell up, deal with the organ cleansing. You would not give a termite riddles house a mere coat of paint, would you? Treat the cause, not the symptom. Get rid of the spider, don’t merely clean up the cobwebs. It can cure rashes of unknown origin. A drop of the concentrate placed on a bandaid and over a wart, adding a new drop at least once during the day, can painlessly remove warts in under 2 weeks (larger, deeper warts may take longer). 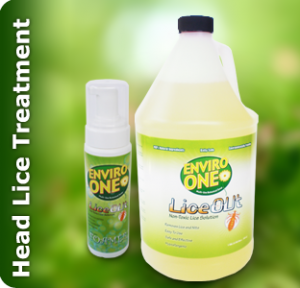 100% safe, most effective cure for head lice. 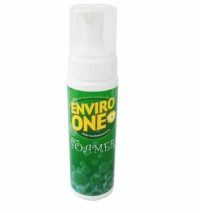 It should not be sprayed on good furniture or painted surfaces because it may damage the finish… good bug degreaser for windshield. Can also be used on pets and livestock or yourself if there is a wound, sore, etc., to prevent infection. 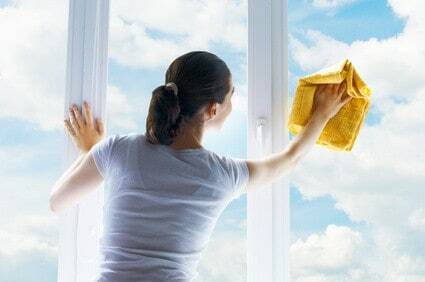 It also deodorizes / neutralizes the source of odor. If sprayed on plants to kill insects, it should be diluted more, closer to 60:1, and do a test area on the plant and wait a few days to see how it affects the plant. Some plants are more tender than others and may require even 100:1. Some commercial orchardists and veterinarians have used it, as have some hotel chains, carpet cleaners, oil change chains, and even military, for degreasing, cleaning, sanitizing, decontaminating, etc. These statements are not approved by anyone or any self-appointed agency, nor the company, and I am not giving medical advice, but merely explaining how I have used the product for 18 years. A gallon may seem expensive, but it is a concentrate so it makes well over a dozen gallons. Most bathroom and kitchen cleaners are toxic and even deadly. The skull and crossbones was deceptively removed from products for marketing/money-making reasons, replaced by mere words such as “caution”, “warning”, “danger” (each with its own specific meaning, of which the average person is entirely ignorant). One of the most dangerous household cleaners is the average dishwasher detergents, in which a mere taste can kill an adult, so even a crystal or two that falls on the floor can possibly kill a baby or a pet if ingested. Whether you use this product or not, realize just how deadly many household products are and take appropriate precautions. 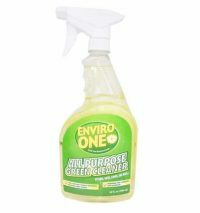 Here is the best way to pour Enviro-One from the new flat bottle to prevent spills. Many of the common cleaning products available in you local stores are poisonous, cause allergic reactions, or create dangerous fumes. So what’s a household to do? Some people have chosen to rid their homes from these toxic cleaners by making their own natural cleaning products. However, these natural homemade cleaners may not work great on all surfaces. 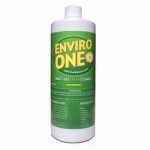 Our Enviro-One formula has proven to not only be safe but have been tested on over 200+ surfaces. 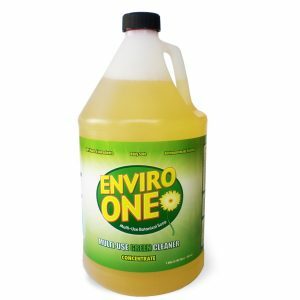 With just one solution, you can clean your kitchen, dishes, floors, counters, bathrooms, sinks, tub toilets and much, much more. Visit our User Guide page to see some of the many applications. Learn more about The Safer Chemicals, Healthy Families coalition and join in the effort to toxic cleaning products from entering our homes and workplaces. 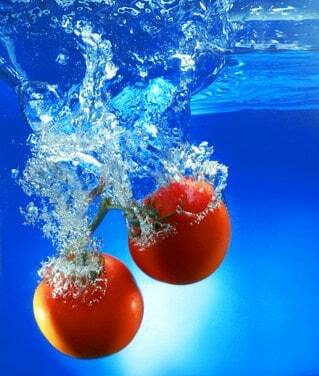 Long gone are the days of simply washing your produce under running water and popping it into your mouth. In the toxic world that we live in, it takes more than just a quick visit from H2O to wash away the grim and chemicals that are present. Even the organic varieties should be meticulously cleansed, just because they are free of pesticides doesn’t make them truly clean. Below are four easy ways to clean your fruits and veg.  Homemade Vegetable Wash: Pure lemon juice and raw apple cider vinegar contains natural antibacterial and antifungal properties. When used together in this wash, they have the ability to kill germs and bacteria without altering the taste of your crops. In a clean spray bottle, mix together 1 tablespoon of organic lemon juice with 2 tablespoons of raw apple cider vinegar and one cup of water. Shake and then spray all over your produce. Rinse with water and then consume.  Let you Produce Soak: Leafy greens are particularly dirty because they tend to collect dirt. Produce such as kale, spinach, chards, herbs and celery should be washed by soaking. Place your leafy greens in a bowl filled with cold water and let it soak for a few minutes; this will loosen all the dirt, allowing it to sink in the bottom. After a few minutes, rinse and proceed to cooking.  Soap it Up: Some produce are sold with a waxy film on their skins. In these cases, a soap wash is the ideal option. With the aid of a natural, mildly abrasive sponge and a natural food safe soap (pure vegetable glycerin is ideal) wash your produce by scrubbing the skin softly, and then rinse with water.  Store Bought Washes: There are natural washes available, specifically made to clean produce. Make sure to choose a veggie wash made with only natural ingredients because it makes no sense to wash your produce with synthetic chemicals. 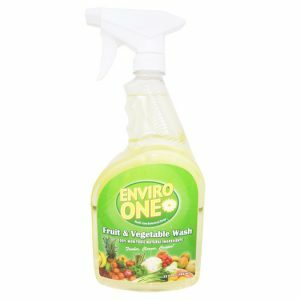 Enviro-One Fruit & Vegetable Wash: There are many natural fruit and veggie washes available in your locals store, specifically made to clean produce. But the most natural, most powerful cleaner on the market is the Enviro-One Fruit and Vegetable Wash. It contains no harmful synthetic chemicals. It also remove harmful pesticide, fungicide & herbicide residues, waxes, oils and deadly bacteria such as E. coli and Salmonella. Taking the time to properly wash your fruits and vegetables before you consume will cut down on the risk of illness. At first the process may seem time consuming, however, once you get into the habit of washing your produce, doing so will become second nature. Scientist Susan Kay Murphy started her graduate career in vaccine development but after the death of her 3-year-old son Kyle from a rare form of liver cancer in 1994, she switched to epigenetics, the study of how genes can be turned on or off. “That was a better way to honor the memory of my son,” said Murphy, who is on the faculty of the Duke Institute for Genome Sciences and Policy. Her son’s cancer — “one in a million” — was linked to epigenetic changes in his cells, a disruption that can be triggered by chemicals or hormones, especially in the early weeks after conception. Kyle was born at 26 weeks and weighed a little more than a pound after Murphy developed eclampsia, but his disease did not show up until years later. Today, Murphy is doing research into the long-term health effects of exposure to chemicals in children. Her 21-year-old son has autism and her 15-year-old daughter was diagnosed with ADHD. Recent studies in mice suggest what a mother eats or her exposure to chemicals can turn on a switch that predisposes the child to future disease, she said. And, just recently, Murphy had a mastectomy and is undergoing chemotherapy for aggressive breast cancer, even though there is no family history. Murphy worries that every day, Americans are exposed to a barrage of chemicals that can damage their reproductive systems and show up decades later in their children. She points to “multiple” exposures to lead and asbestos while renovating an old house; second-hand smoke from her husband; and the pesticides in the California fields where he grew up. Murphy said she was also exposed to chemicals and radiation in a vet clinic and the lab where she did research. Now, a powerful documentary produced and narrated by activist-actor Sean Penn, “The Human Experiment,” argues that there are dangers from the “chemical load” in seemingly innocuous household products like cosmetics, deodorant, cleaning fluids, shampoo and even toothpaste. Its world premiere is Sunday, Oct. 6 at the 36th annual Mill Valley Film Festival in California. The film cites skyrocketing rates of autism, breast cancer and infertility and questions the role of some 80,000 chemicals used legally in the United States and the uphill battle against powerful interests of industry to curb the chemicals. Co-directed by Dana Nachman and Don Hardy, a former Emmy-winning TV news team, it tells the stories of three women affected by chemicals and the activists calling for sensible, science-based research and greater regulation to protect public health. The film follows a young woman diagnosed with breast cancer; another with polycystic ovary syndrome, struggling to get pregnant; and one with a nonverbal brother with autism. They, too, wonder how chemical toxins may have played a role these health problems. The film looks at several chemicals that have been linked to disease in humans and are still in legal use. Bisphenol A or BPA, is an industrial chemical that has been present in many hard plastic bottles and metal-based food and beverage cans since the 1960s. Toxicity studies have shown “some concern” about its effects on the brain, behavior and prostate gland in fetuses and young children, according to the Food and Drug Administration. The EPA is currently investigating BPA, which has estrogen properties and is an endocrine disrupter, for human health risks. Polyvinyl chloride (PVC) is used in building materials as well as vinyl clothing, and has been linked to cancer and immune system damage. Several national companies have begun to transition to PVC-free packaging. Since 2004, there has been a national phase-out of bromated flame retardants that are used in sofas and in electronics. The chemical can end up in breast milk and body fat, causing thyroid and reproductive damage. Particles can fall to the floor and leave dangerous dust. The heart of the film is the Congressional debate over reform of the 1976 Toxic Substances Control Act, which requires that chemicals must be scientifically proven to be dangerous before they can be taken off the market. In the United States, chemicals like lead, for example, in fuel, paint and other building materials, were on the market for years before they were found to cause neurological problems and were banned by the EPA under the Substances Control Act. Andy Igrejas, executive director of Safer Chemicals, Healthy Families, a national coalition of parents, reproductive health professionals, environmentalists and businesses, praised the film. The group lists 130 chemicals on its website that have been identified by “authoritative bodies” as hazardous to human health. “They are known chemicals we come into contact with that are widespread,” said Igrejas. In June, the late Sen. Frank Lautenberg, D-N.J., and Sen. David Vitter, R-Louisiana, with 22 sponsors introduced a bill to reform the toxic substances law — the Chemical Safety Improvement Act . Since Lautenberg’s death last summer, Sen. Barbara Boxer, D-Calif., chairs the committee that is handling the legislation. The measure, however, is supported by the advocacy group, the American Chemistry Council, which the film alleges “hijacks the science” by funding safety studies and pouring millions of dollars into the defense of industries, using slick public relations tactics and strong lobbying to fight stricter regulation. “Unfortunately, this film appears to present an often-repeated and overly simplistic view of chemicals and disregards the science associated with chemical exposure and decades of research regarding disease,” wrote the ACC in a statement for ABCNews.com.